February | 2007 | That Mall is sick and that Store is dead! 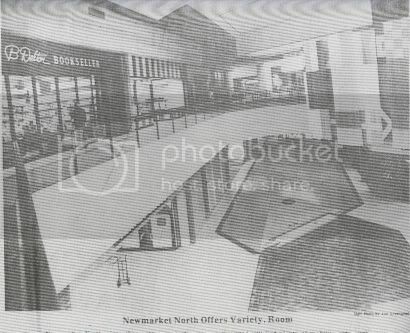 I recently brought back out the few Newmarket North/Newmarket Fair microfilm scans I could get back in January of 2006 for a paper I’m working on. 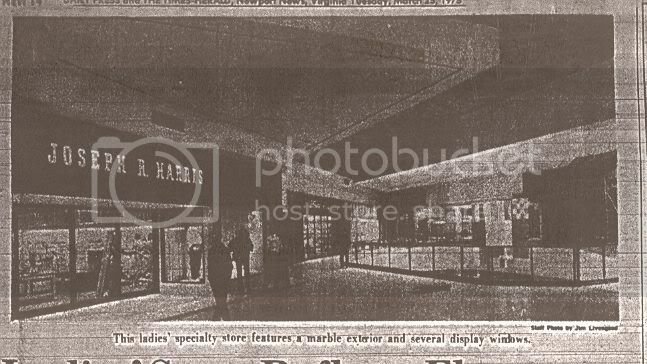 I forgot I had a somewhat complete list (albeit in pieces so I can’t just you know scan it) of the original tenants on opening day (March 26, 1975). 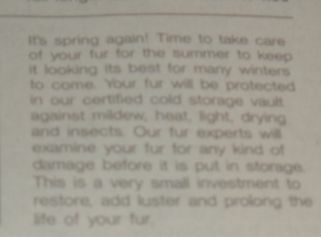 Here is the best copy I have of the directory. 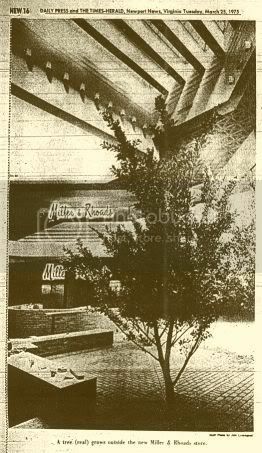 And of course the original and only anchors the mall ever had Sears, Leggett, and Miller & Rhoads, which in 2007 are Sears, Northrop Grumman, and Verizon, and of course the mall is now Netcenter. A lot of the stores are now Amsec (my dad works for Amsec, but I don’t think he ever has to go to the Netcenter location) I keep on forgetting to mention that if you drive by the old M&R building you can still see Miller & Rhoads’s labelscar, I’ve just never been able to get a photo because Verizon employees are always standing outside. Miller & Rhoad’s Hey Day Ad 1, originally uploaded by Look In The Tunk. 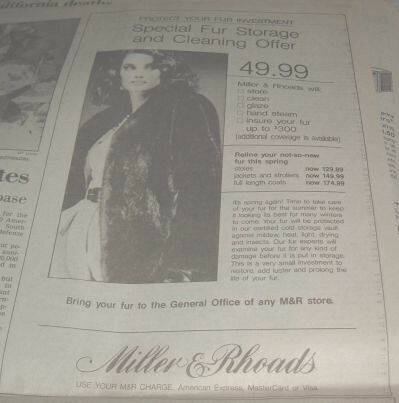 I haven’t been able to see this ad in a few years, but I think the ad said that M&R had its own walk in fur storage fridge. Yeah, that’s still hard to read…. Oh boy, I found another website that’s going to keep me up all hours now. The Virginia Film Office. 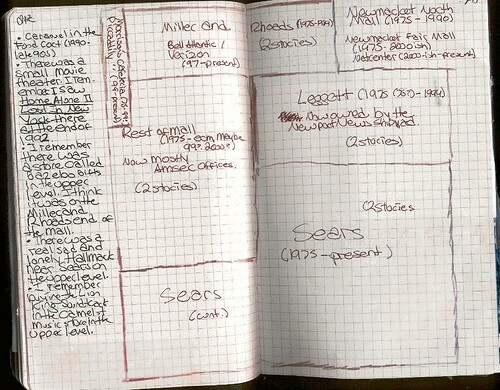 I’ve found some malls and stores so far. 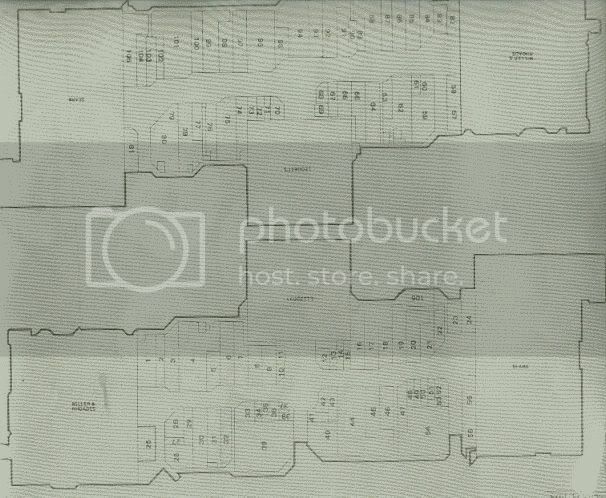 Walnut Mall — we’ve been getting some submissions for this place over at deadmalls.com. 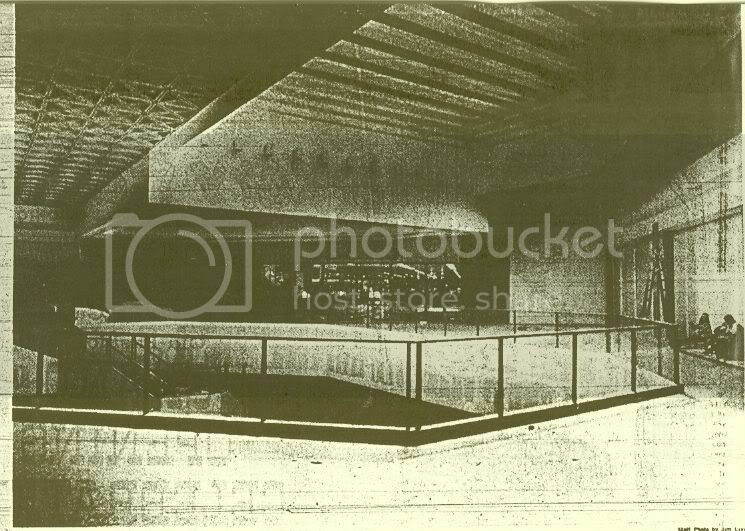 Greenbriar Mall – these photos look the oldest out of the bunch. 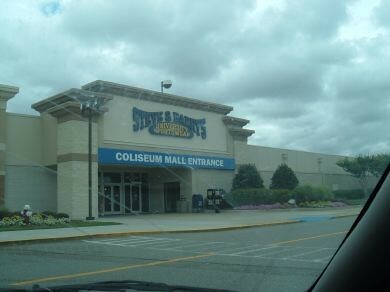 Tanglewood Mall – we’ve gotten a lot of hate mail about this joint over at deadmalls.com.Conflicting reports on it whether its still dead or not. These photos look pretty old. It Tries, originally uploaded by Look In The Tunk. I forgot I took this picture on my 22nd birthday back in 2005 when a friend and I went to Coliseum because we needed a Lane Bryant fix. I never was fortunate (or unfortunate?) to go into Steve & Barrys. This place closed back in December and the rest of the mall (with the exception of the anchors) closed up shop in January. 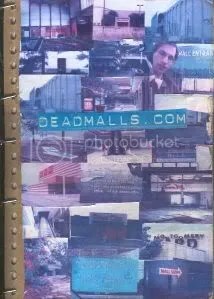 deadmalls.com now has a Wikipedia Page. So, YouTube deleted my account today. So I guess I have to start uploading things over at tinypic.com. I’ve re-uploaded the January 14th, 2007 WVEC Channel 13 news report on Coliseum Mall closing. I made this almost two years ago, and this blog has been around for almost two years and I’ve never shown this?!? 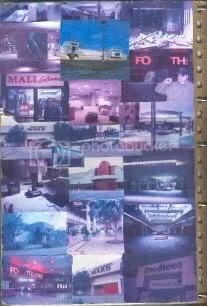 About 90% of those pictures are from deadmalls.com. 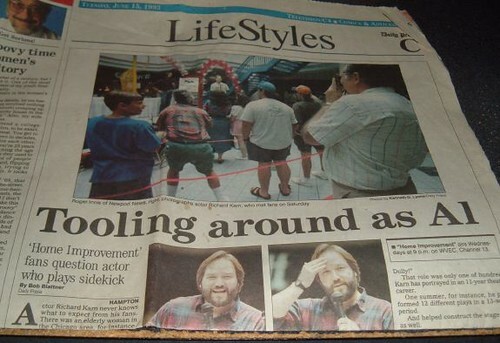 I made the journal before I knew Brian over there and became assistant editor of deadmalls.com.